Calverley Old Hall near Leeds is a Grade I listed medieval manor house with fabric dating from the 13th to 17th centuries. While part has been a Landmark holiday let for many years, the rest of the site – and the most historically significant – has fallen into disuse and such decay that it is currently on the Heritage at Risk Register. 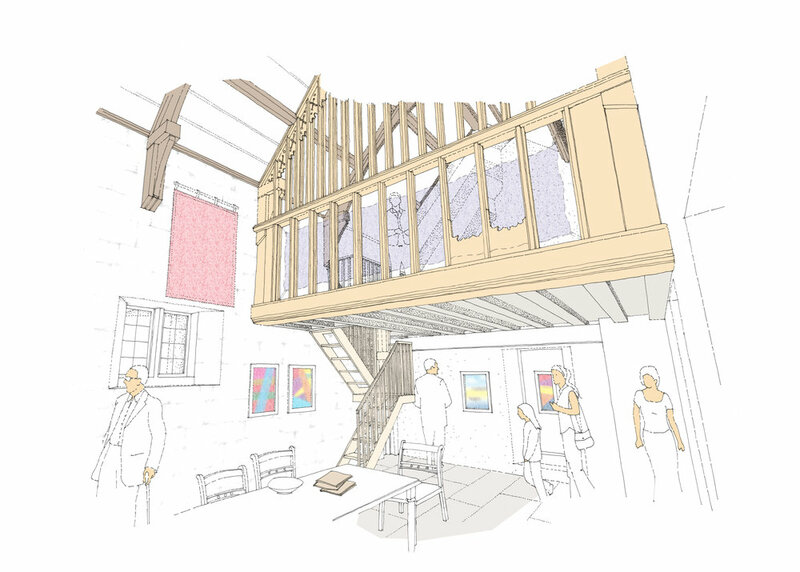 In 2017 The Landmark Trust launched an international design competition to find an innovative architect to revitalise the whole site for an exciting new future. 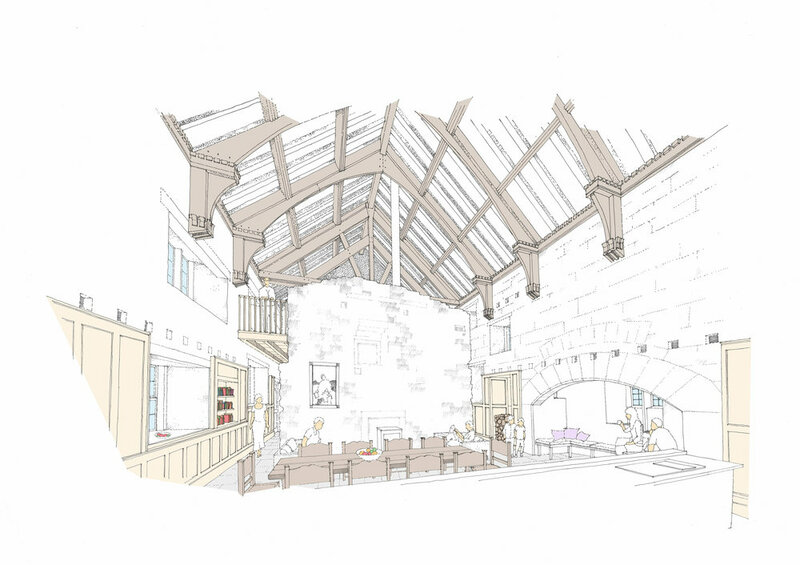 75 firms from across the world submitted designs to revive Calverley Old Hall. 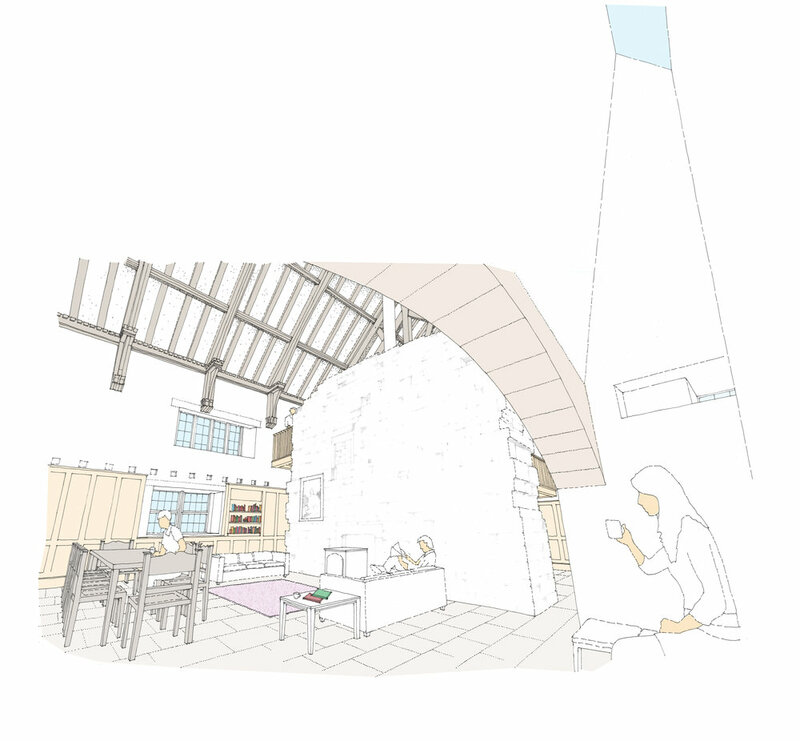 During a rigorous judging process, nine architects were shortlisted, and CGA’s scheme was selected as the winning design. 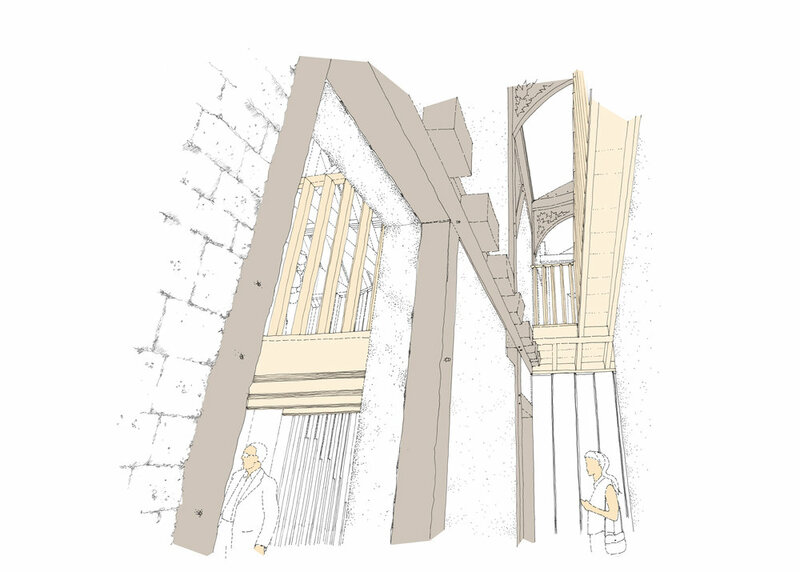 The success of the project will depend upon making the social history and architectural detail of the development of the Old Hall discernible and legible, through the expressed evolution of the masonry and worked timbers already exposed. 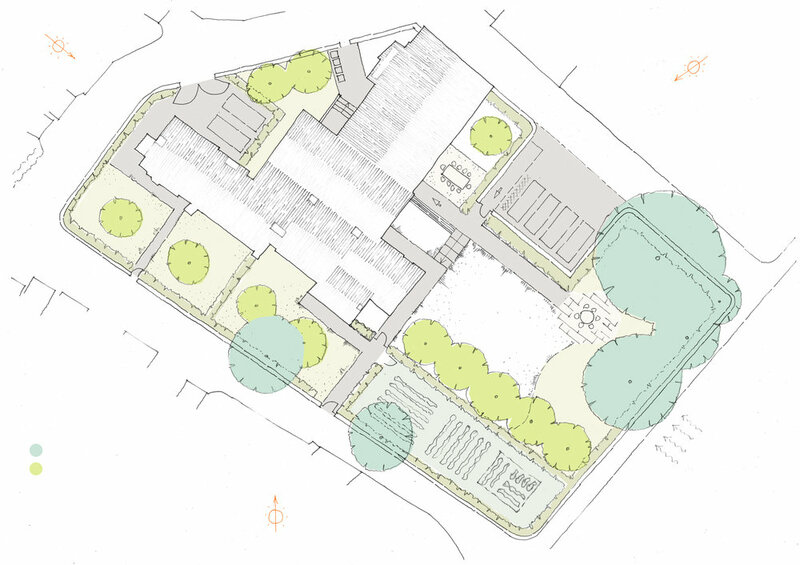 Our scheme proposes to create distinct but contemporary form and detail, subservient to the historic building, whilst enhancing the setting by drawing out and celebrating the tension between the new use and the architectural iterations visible in the historic fabric. 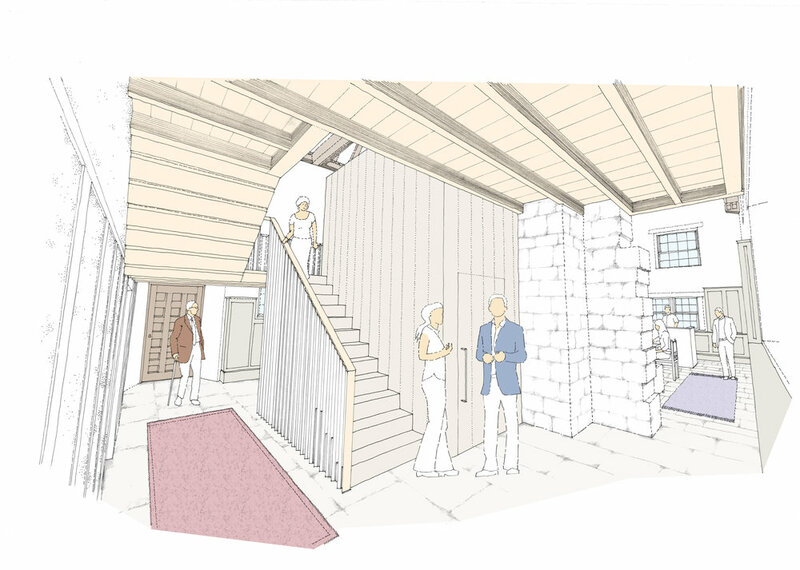 CGA feel privileged to have been chosen by Landmark to take the Old Hall forward into the next phase of its history.